PDF Annotator will be installed on any of my laptops since I started inking on my Lenovo Windows tablet roughly 9 years ago. Grahl software’s flagship is an amazing tool to annotate PDF-files, for example freehand pen comments, highlight like a text-marker, stamps, typed comments etc. PDF Annotator has 320.000+ happy users in 89 countries since 2004. I started using 1.5 when it was released back in 2007, while the latest version is PDF Annotator 6. You simply download the installer file from the Grahl software download page. You simply double click the downloaded exe-file. 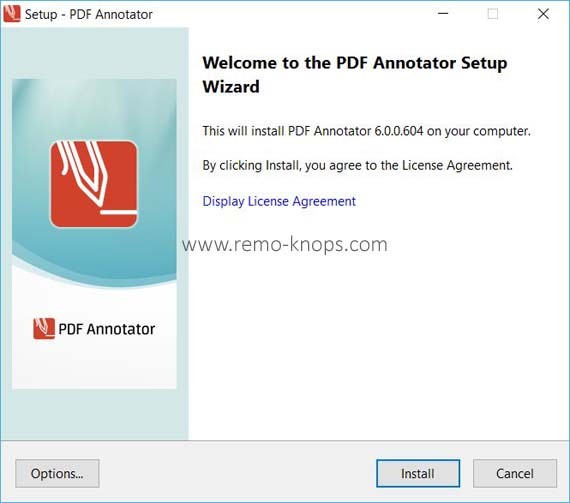 A wizard guides you step by step through the installation of PDF Annotator 6. It is very simple and basically a next-next-finish type of installation. A tutorial will guide you through the most important features, when you first run the PDF Annotator after installation. 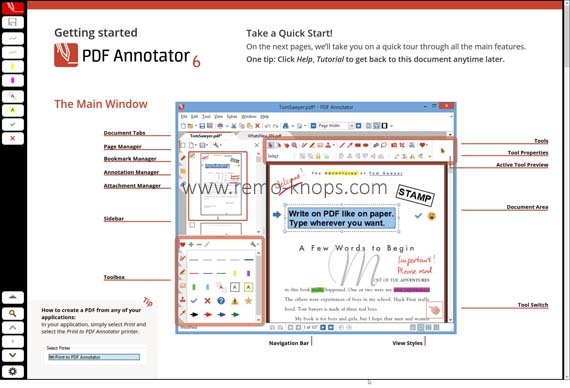 And much more new features of which you can read detail explanations on the PDF Annotator 6 what’s new page. With the category of Microsoft Surface Pro devices that can be used as both a laptop and a tablet the two PDF Annotator modes (full screen mode and desktop mode) are an excellent development. The Microsoft Surface pen is always in the dedicated mesh pocket of the Waterfield Dash Sleeve, ready to be used for annotations. In the era of the digital workplace, a lot of files are shared in PDF-file-format, and current Microsoft Word versions are able to open PDF-files and add comments for review. However PDF Annotator is a way more advanced tool for PDF annotations, so I still text mark and write notes and comments in PDF-files. I even print websites to a PDF-file, make annotations to that PDF and add the file to a Microsoft OneNote notebook. Although there are overlapping features I use PDF Annotator and PDF TK Pro side by side. Inking has been one of the main reasons that I started using Windows tablets (and not made the switch to for example an Apple iPad in addition to a normal laptop). When I started using PDF Annotator back in 2007 I was still at university reading scientific articles in PDF-format. Making annotations helped me to understand the content and summarize the structure and results. Nowadays I still text mark and write notes and comments in PDF-files. Also signing PDF documents is very simple with an excellent tool like PDF Annotator. A PDF Annotator license isn’t cheap with € 69,95 where you can purchase an additional 2 years of free upgrades and support for €17,47 per user/year. In other words for € 53,- per year your are fully covered for 2 years with an exceptional well thought out tool. The price-point is reasonable if you use it regularly. Support and after-sales have been excellent over the past years. 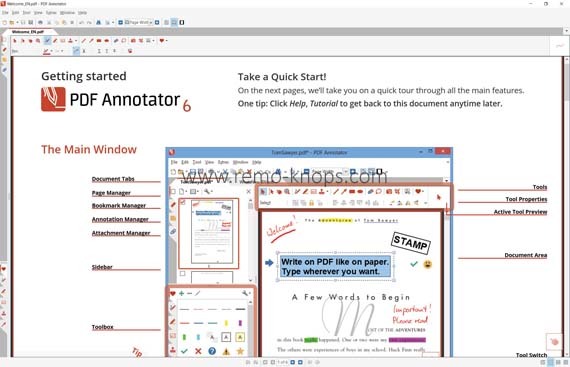 If you want to be productive with PDF-files, than seriously consider an investment in PDF Annotator. In my opinion it is the best tool available to annotate PDF-files. 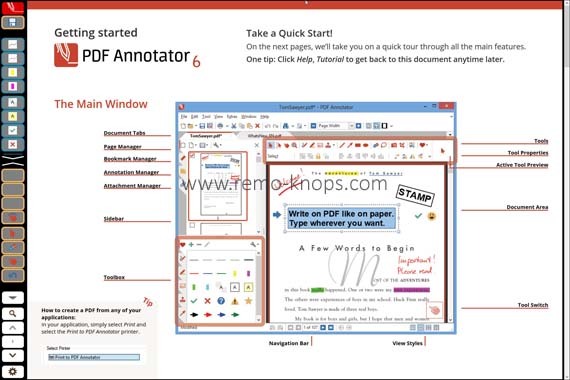 Hey!, I found this information for you: "PDF Annotator 6 review". Here is the website link: https://www.remo-knops.com/5535/pdf-annotator-review/. Thank you.